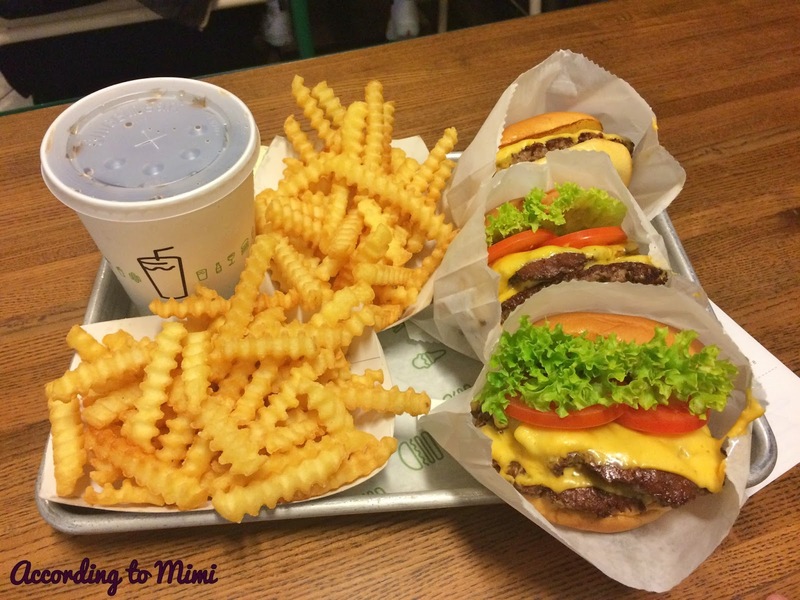 Did Shake Shack change up their burgers? They are now absolutely delicious! I was always on the fence about Shake Shack. Agreed, they make a good burger, but I always felt that they could be better. Couldn't put my finger on it though, but there was something off. However, I had Shake Shack for dinner last night and loved it. Have they changed up their sauce? Or maybe there's more of it? I'm not sure, but whatever it was, it was good! They're in such a convenient location at the Avenues too. You know those hungry pangs you get when you've been shopping for a good few hours and the trek up to the food court just seems impossible? Shake Shack is splat in the middle of the mall (excluding the Grand Avenues that is, which I hardly visit unless there's a specific store I want to go in) and will cater towards all your fast food cravings. The burgers are just so juicy! I've also never seen a grumpy staff which is always a plus. There's a few burgers to choose from, but I usually end up getting their signature Shack Burger. They also have hot dogs, frozen custards, shakes and concretes (a frozen custard mixed with various toppings) though I'm not a big fan of the concretes. The above meal came up to 12 KD and you can find their full menu here.